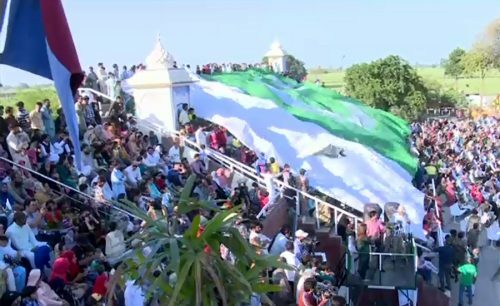 LAHORE (92 News) – An impressive flag-lowering ceremony was held in connection with the Pakistan Day at Wagah Border on Friday. 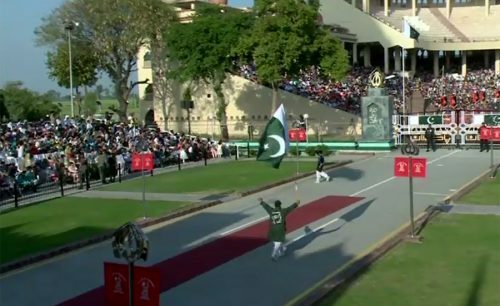 A large number of enthusiastic Lahorites witnessed the prestigious parade. The area resounded with the slogans of ‘Allah-o-Akbar’ and ‘Pakistan Zindabad’. 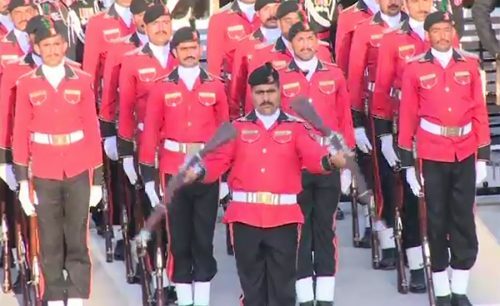 The performance of different contingent and bands increased the enthusiasm of the people who continued to chant the slogans throughout the parade that displayed a practical example of patriotism. The tunes played by the Pak Army band enthralled the people.